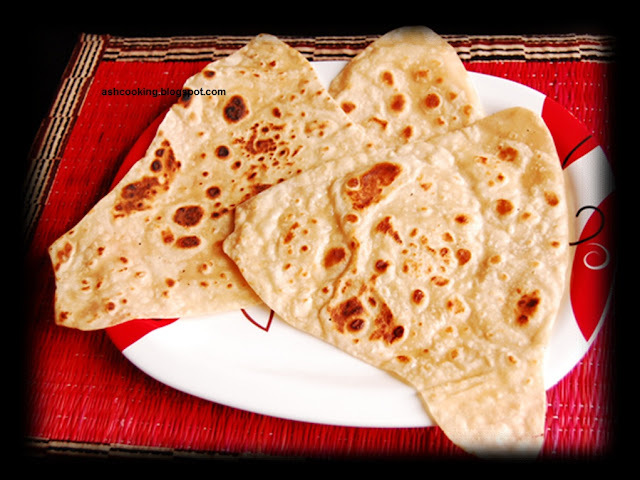 These triangular parathas were staple in our breakfasts in Kolkata. It tastes awesome with Bengali Aloo Curry or Shahi Alu Dum. If you are a non-veg like me, you may try this out with Mutton Korma or Mutton Do Piyaza. It will surely make its way to the table of your home for breakfast on Sunday. I had a feast on Sunday with these triangular parathas accompanying mutton korma. 1) Mix in a pinch of salt, sugar and 1 tsp of oil to the flour (both tossed together in the same mixing bowl.) Hand mix for a while. Don't add water. 2) Now add required amount of water to knead dough. 3) When dough is made, make smalls balls. Then with the help of a rolling pin roll out the balls into circular shape. Fold it twice to make a triangle. 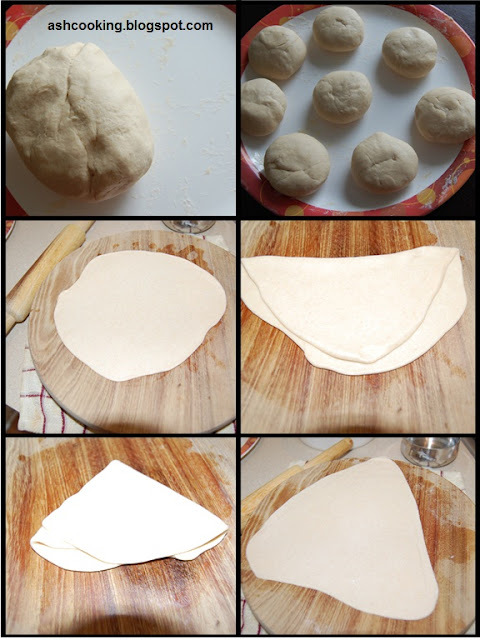 Roll out again to the size of paratha. 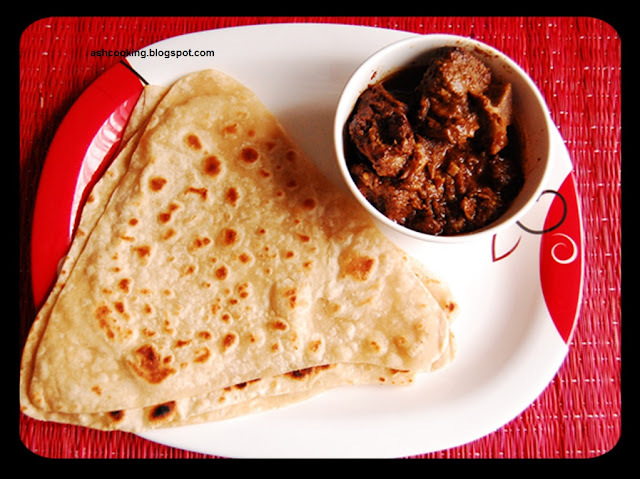 4) You may dredge the balls with flour or oil while rolling out the parathas. Personally, I prefer the first option as it helps me mould the parathas into a perfect triangle. 5) Finally, fry the parathas coated in oil.